So that thing I said yesterday about daily Marvel Legends reveals, Hasbro hasn’t let me down yet! Today, Kotaku revealed the non Ant-Man MCU characters that will be part of the second Marvel Legends Infinity War wave. In addition to this they have a whole mess of promotional imagery from both waves, but we’ll focus on the new guys for now. Hopefully, we get a full promotional image update from Hasbro later today. So unless they are holding anything back, it looks as though this wave will include six characters plus the build-a-figure Cull Obsidian, who would be the second member of Thanos’ Black Order. Some interesting takeaways from these pictures is that, of cours, Thor got his eye back. In addition to that, the axe he’s holding looks like the handle was made by Groot. Black Widow is blonde now, but we already knew that. I’m excited to see how she fares with the new face printing. 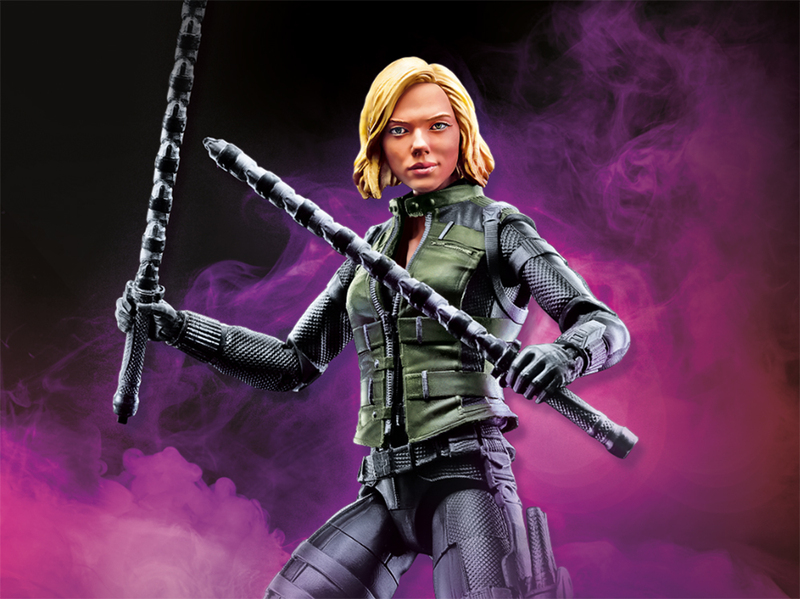 By the way, feel free to bookmark our handy Hasbro Marvel Legends checklist in order to keep up with the rapid-fire release schedule we have this year. Check out the official pictures of Black Widow, Thor, and Cull Obsidian.